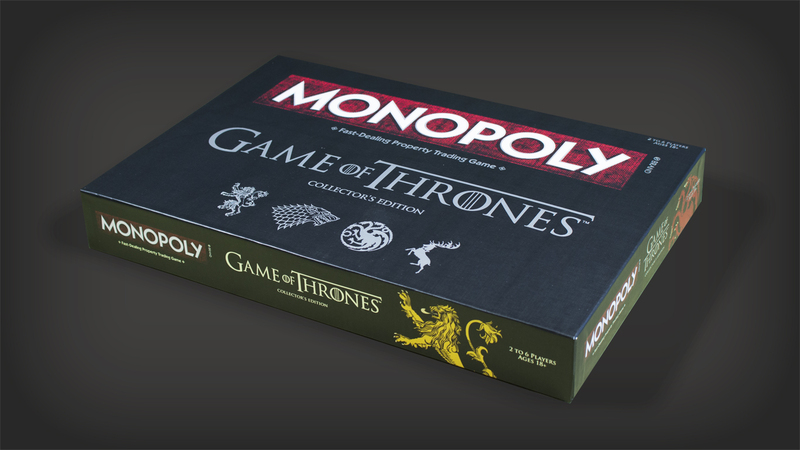 Packaging and component design for a Game of Thrones version of the classic board game. 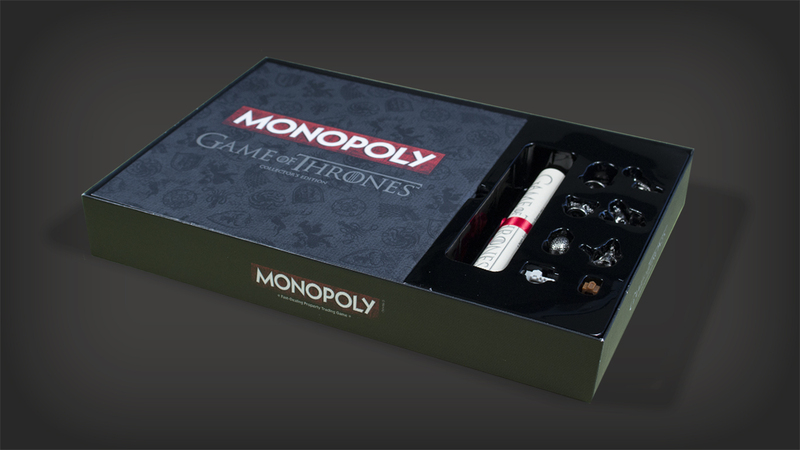 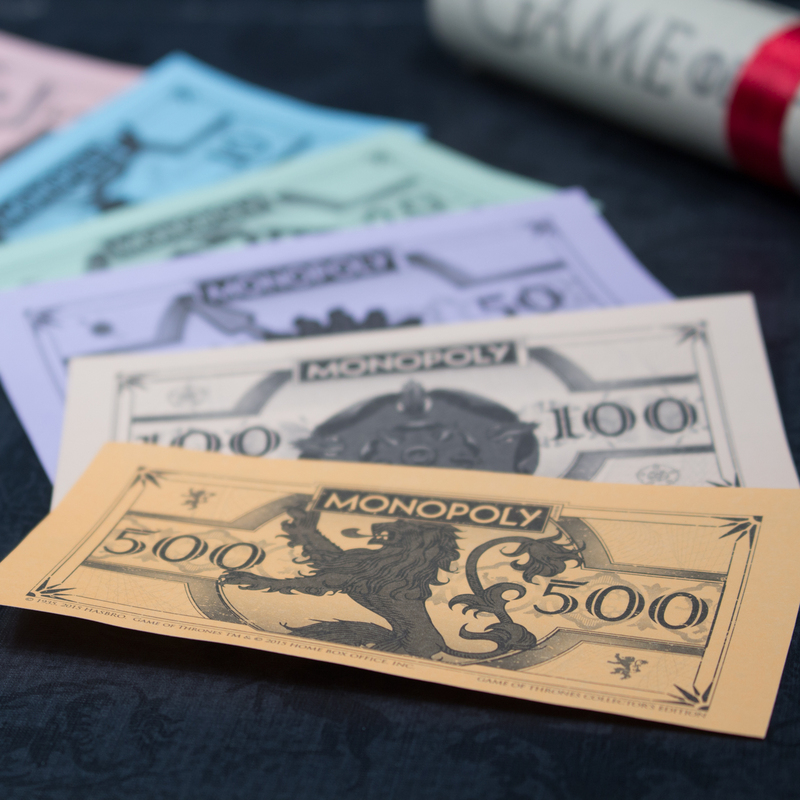 This version of Monopoly was designed following the contemporary style of the HBO hit series Game of Thrones. 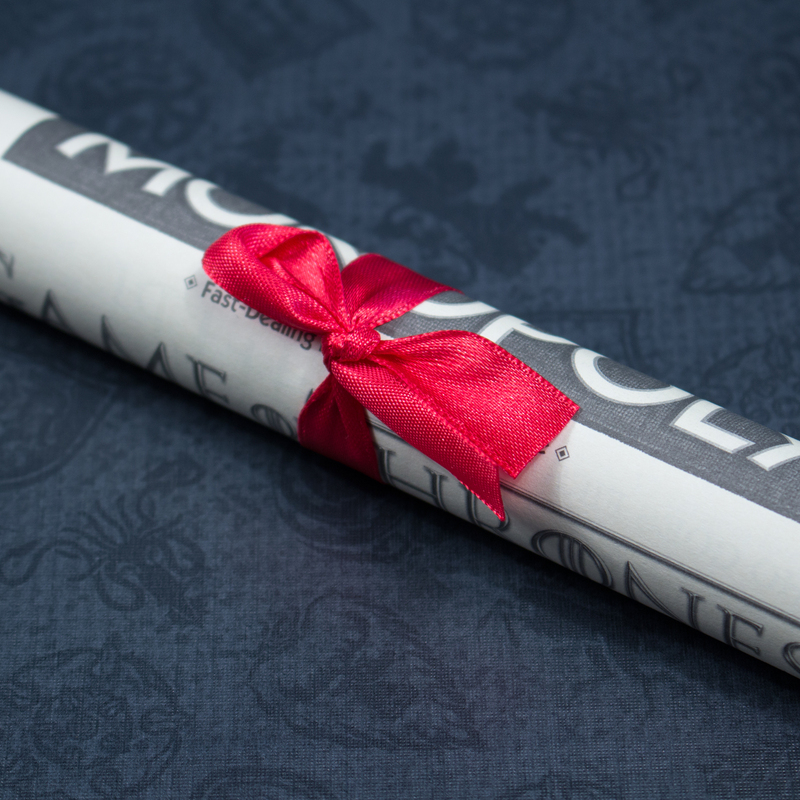 I created a unique pack-out experience by designing a custom tray that holds all components in their own place and makes for a classy presentation. 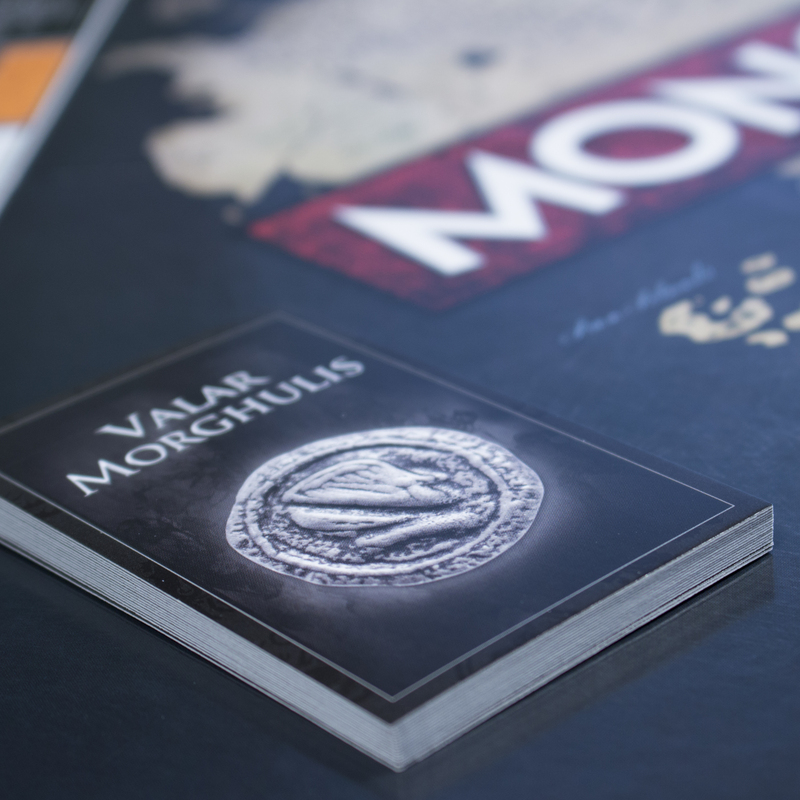 The packaging includes silver foil stamping as a special finish. 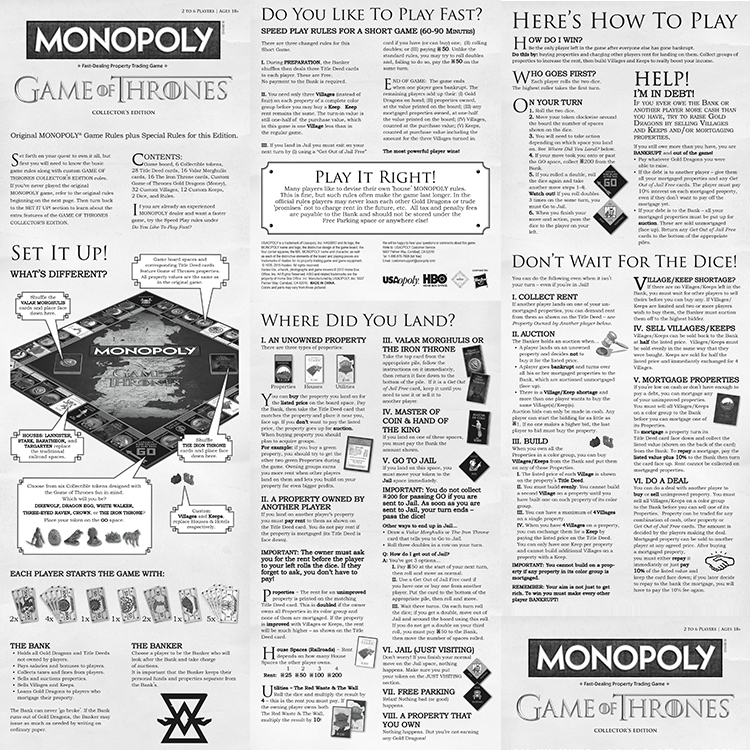 I was asked to combine the flair of Game of Thrones with the classic style guide of Monopoly while maintaining the ease of game play. 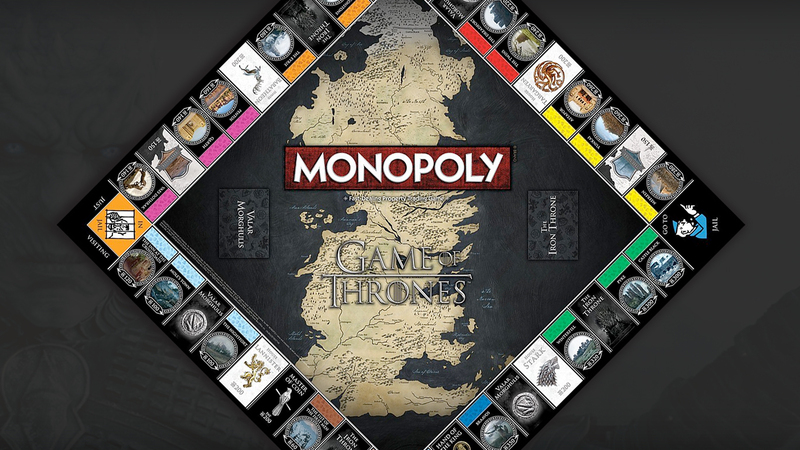 All components compliment each other and create a great overall look and feel true to the show.